Just weeks after Norwegian government minister Vidar Helgesen experienced the misery of refugees landing on a Greek island first hand, a Norwegian vessel was berthing at Sardinia Monday morning with nearly a thousand more refugees and migrants who’d been rescued at sea. As the humanitarian crisis in the Mediterranean deepens, debate continues to fly at home over what’s the best way to help. Critics have claimed that Norway, still wealthy from its oil industry but now caught in an economic downturn of its own, isn’t doing enough to ease the crisis. The UN claimed last week that Germany and Sweden, which have taken in the majority of refugees from Syria, for example, can’t bear the burden alone. Italy and Greece are also struggling with the waves of desperate people landing on their shores, mostly because of their geographic locations, and UN officials all but chided other countries for not doing their share. “The burden and responsibility must rest on more shoulders,” Antonio Guterres, the UN’s High Commissioner for Refugees, told German newspaper Die Welt. All countries in Europe, he said, have a “moral responsibility” to take in refugees and protect them. Norwegian politicians, after months of debate last winter and spring, finally settled on admitting 8,000 Syrian refugees over the next three years. Critics consider that a drop in the bucket, given the millions on the run, and had argued for at least 10,000 by the end of next year. Others claim that as a small country that already has nearly 6,000 approved refugees sitting in asylum centers who still haven’t been resettled within Norway, even another 8,000 will present a major challenge. They argue that it’s much more effective for Norway to send more financial aid to Jordan, Lebanon, Greece and other neighbouring countries to help provide for refugees where they are. Last week, Carl I Hagen, the former head of the conservative Progress Party who’s running for re-election to the city council in Oslo, inflamed those in favour of taking in more refugees by claiming they should all be sent right back where they came from. “Europe needs to do what Australia has done, and say that boat refugees are not allowed to stay under any circumstances,” Hagen told newspaper Aftenposten. 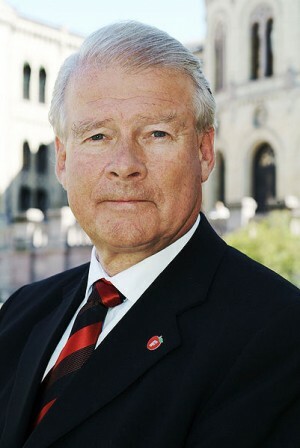 Hagen, whose party has a long tradition of being skeptical towards immigration as well, believes Europe will “break down” under the pressure of the refugee wave, and so will Oslo. He fears that neither refugees nor migrants will be integrated and instead will become “a lasting burden on public budgets.” He’s firmly against welcoming either UN-registered refugees or boat refugees, claiming that Norway and other European countries should instead only finance refugee camps in Libya and other countries “on the other side of the Mediterranean.” Hagen, from a party that currently forms part of the state government coalition, told Aftenposten he doesn’t care what the UN says, noting instead that the Progress Party was willing to donate NOK 1 billion to help refugees closer to their original homes. Other Norwegian politicians are trying to strike a balance between sending aid abroad and taking refugees into Norway. Many point to the Bosnian refugees who were taken in by Norway during and after the war in the Balkans in the 1990s, and how well they have integrated into Norwegian society. The Norwegian government, meanwhile, has been funding the operations of a vessel chartered in to help rescue refugees stranded at sea. On Monday, it sailed into Sardinia with a record 963 on board, including 71 children. Since the Siem Pilot joined the rescue operations in the Mediterranean in June, it has brought nearly 5,000 migrants and refugees to safety, if uncertain futures, in Europe. 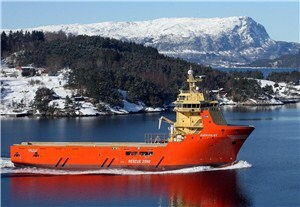 While the Siem Pilot’s contribution to the rescue operations has been praised for its work at sea between North Africa and Italy, the Norwegian government is also backing another rescue vessel, the Peter Henry von Koss, in the waters around Greece. It’s taking part in the “Operation Poseidon” that, along with 14 other European countries, is contributing personnel and equipment to rescue refugees trying to reach Greece, often from Turkey. Norway is also providing funding to help Greece, which has long been in economic crisis itself, handle the hundreds of migrants and refugees pouring onto islands like Lesvos almost every day. 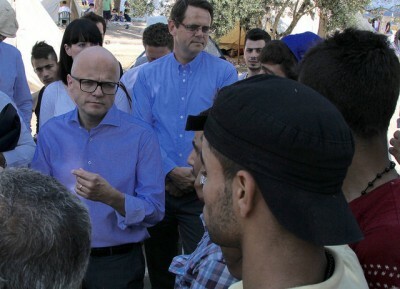 Earlier this month, Norway’s government minister in charge of EU issues, Vidar Helgesen, was on Lesvos to experience the refugee situation first-hand. He was visibly moved by the stories of hardship and drama he encountered, with many of the refugees educated and once-successful people with homes and middle-class lives, uprooted by war and atrocities. 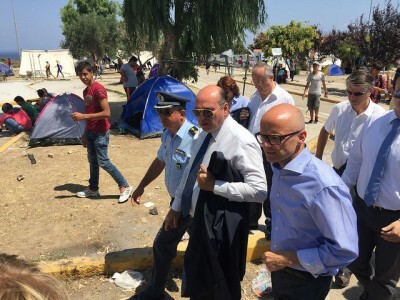 Helgesen, who also serves as chief of staff for Prime Minister Erna Solberg, immediately announced another NOK 15 million in emergency aid to help those landing on Lesvos. Other funding is coming from money Norway already has contributed through its economic agreement with the EU.